Creating memorials to the tragically slain may be one of the most difficult design challenges in all of architecture. Like rebuilding Lower Manhattan after the terrorist attacks, building a monument to the life and work of Civil Rights leader Martin Luther King, Jr. involved compromise, money, and the voices of many stakeholders. The concept of "buy-in" is a vital part of most architecture projects—the parties that have a stake in the outcome, whether it's emotional or financial support, should consent to all aspects of the design. The architect is responsible for accurately depicting the design, and the stakeholder is responsible for approval at every stage. Without buy-in, cost-overruns are almost a certainty. This is the story of a Washington, D.C. memorial that weathered conflict and adversity in being built and being true to the man it honors. From a Mountain of Despair comes a Stone of Hope, the sculpture of Martin Luther King Jr. by Chinese Master Lei Yixin. Wide grooves and chiseled channels on the sides of the Chinese granite sculpture symbolize Hope being pulled and torn from the rock of Despair. 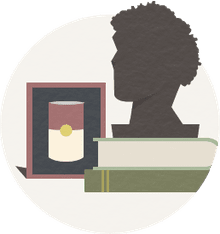 Like most public projects, a blind competition decided the designer of the first National Mall memorial to an African-American. ROMA Design Group was chosen in 2000, and in 2007 Master Lei Yixin was chosen as sculptor. Stone carver Nick Benson of The John Stevens Shop, in business since 1705 in Rhode Island, was hired to engrave the wording. No, Yixin was not African-American, nor was Benson and his team. But they were considered the best in their field, so criticism of Yixin's work seemed selective. Yixin did most of the sculpting in China, which made people think that Dr. King looked a little too much like Chairman Mao. 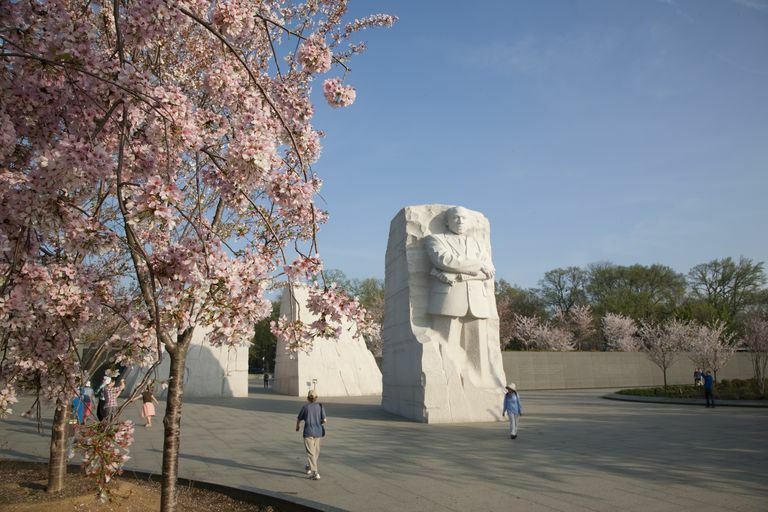 Even before it was sculpted, the Martin Luther King, Jr. National Memorial was being modified. Ed Jackson Jr., the executive architect for the Memorial, worked with Lei Yixin to develop a sculpture that would convey wisdom and strength without appearing aggressive or confrontational. The slow process required many revisions. Yixin received change orders to his model for the statue—make Dr. King look less stern and gruff and more kind and approachable. Sometimes Yixin could make the fix by removing a line in the face. Other changes had to be more creative, such as changing a pen to a rolled piece of paper when officials realized the writing implement was in the wrong hand. More than a decade went into constructing the memorial project—a 30-foot sculpture of King, a 450-foot crescent-shaped wall inscribed with excerpts from King's speeches, a walkway lined with smaller monuments to persons who lost their lives in the quest for civil rights. The national monument that forever would be a presence in Washington, DC was not officially dedicated until August 2011. And then the criticism began again. Observers noticed that Dr. King's words, inscribed in stone, were abbreviated and taken out of context. In particular, the phrase shown here—"I was a drum major for justice, peace and righteousness"—was an expression that King did not use. Dr. King did not say that specific phrase. Many people who visited the monument felt that words on monuments should matter, and they wanted something to be done. Lead architect Ed Jackson Jr. defended his decision to approve the abbreviated quote, but critics said that the revised verbiage created a false impression of the slain civil rights leader. Debate raged on and so did the controversy. The first inclination was to add more words to produce a quotation instead of a paraphrase. After much consultation and more input from stakeholders, and no doubt considering the cost of yet another change, U.S. Secretary of the Interior Ken Salazar announced a workaround. Instead of modifying the quotation, the two lines on the stone would be removed "by carving striations over the lettering." The original design idea was that Dr. King's image in stone was pulled from a wall of stone, which explains the original horizontal scrape marks on the sides of the monument. The grooves suggest that the "Stone of Hope" is pulled from the rock wall behind it, known as the "Mountain of Despair." In 2013, sculptor Lei Yixin chiseled through the disputed words and added two more groove lines to eliminate the controversial inscription from the monument. The U.S. Department of the Interior, the agency in charge of the National Park Service that oversees the Washington, DC monuments, said that this solution was the recommendation of the original sculptor, Master Lei Yixin, "as the safest way to ensure the structural integrity of the memorial was not compromised." It was also an inelegant, cost-effective fix to the architectural problem. Yixin wanted to sandblast with an artificial abrasive called Black Beauty, but the contractor couldn't because his insurance didn't cover its use. Blasting with crushed walnut shells stained the granite. Yixin wanted to use a sealant, but the National Park Service said no. Glass bead blasting was agreed upon and the work was accomplished by Park Service preservationists under Yixin's supervision. Nothing is simple. That's the first lesson. Columnist Danny Heitman says "the larger lesson is that this kind of misquotation goes on all the time, most visibly in the work of sloppy writers and researchers." Writing in The Christian Science Monitor, Heitman says "we have to remember that we don’t get to choose what our subjects say; they do."